SARD Fuel Pressure Regulator - Dezod Motorsports Inc - Home of the automotive performance enthusiast since 2002. The SARD adjustable fuel pressure regulator ensures proper, reliable fuel delivery on naturally aspirated and turbocharged vehicles. Fuel Pressure Regulators ‘regulate’ the pressure of fuel in the system to ensure that fuel delivery is stable under various loads. 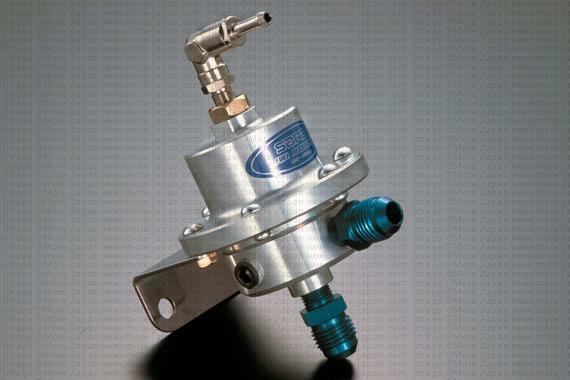 Fuel Pressure Regulators are recommended for any vehicle being modified for more power. The SARD Type R model has a larger body and is capable of handling higher capacities found in high HP vehicles. Some vehicles may require adapters for proper installation. Please contact us if you are unsure!